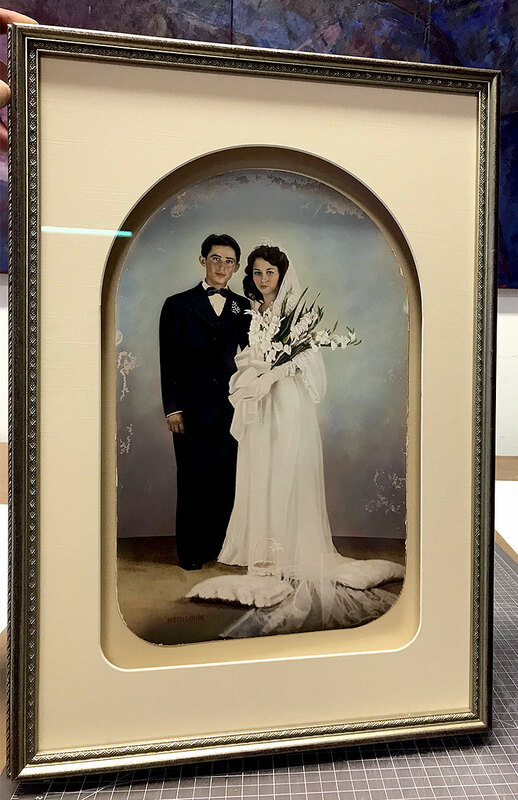 This is a vintage colored photo in which we used archival materials including a custom cut fabric mat, museum glass and a shadow box. 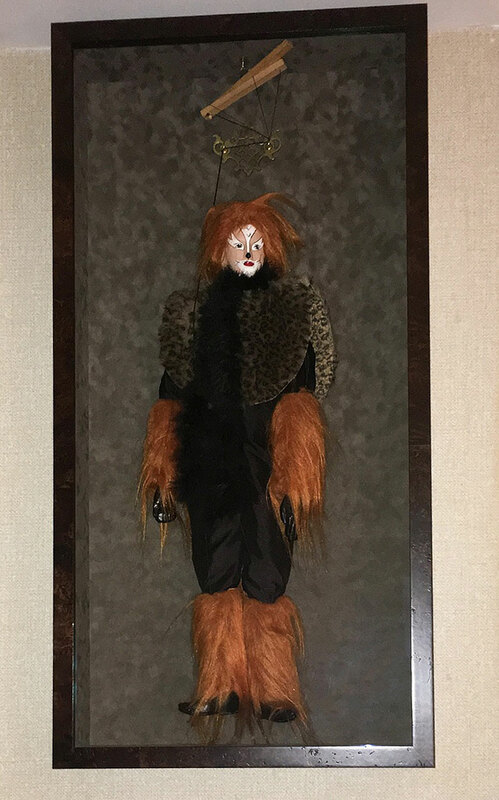 The traditional technique of French Matting has been making a comeback. 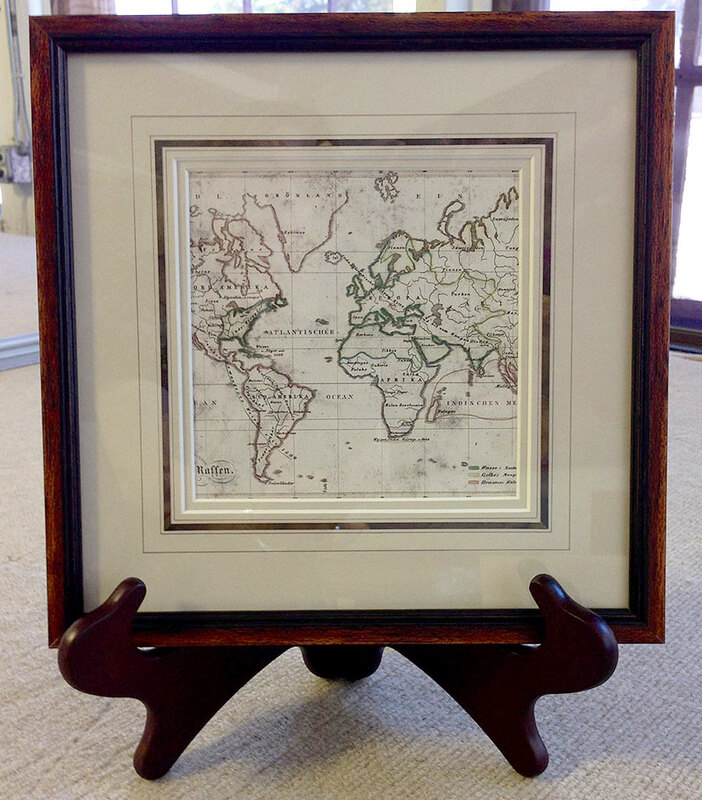 French Mats are used to enhance various types of paper art such as fine art prints, drawings, watercolors, botanicals, awards and maps. A simple gilded bevel, custom laid papers and lines all add ambiance and elegance within the right context. These elements can be used individually or in concert to enrich the overall viewing experience. 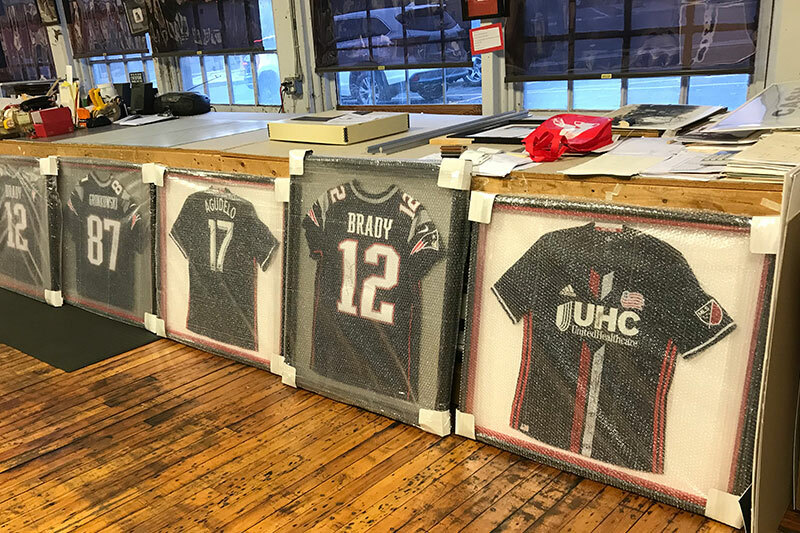 Our consultants will walk with you through the design and your matting will be expertly created specifically for your piece. The following examples may serve as an introduction to French Matting. 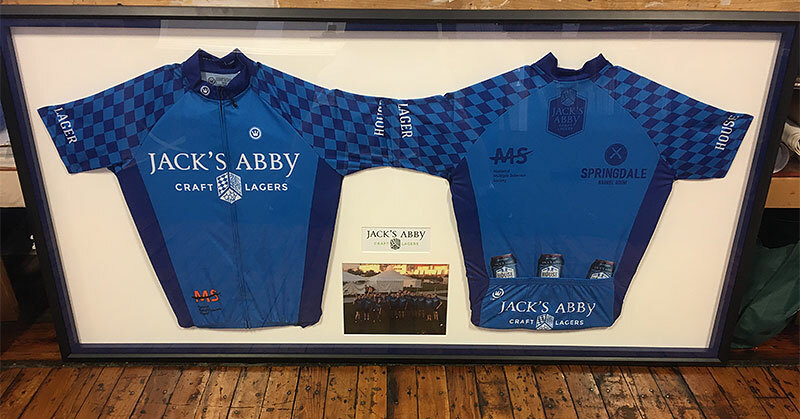 No Framing project is too large for Framed In Time! 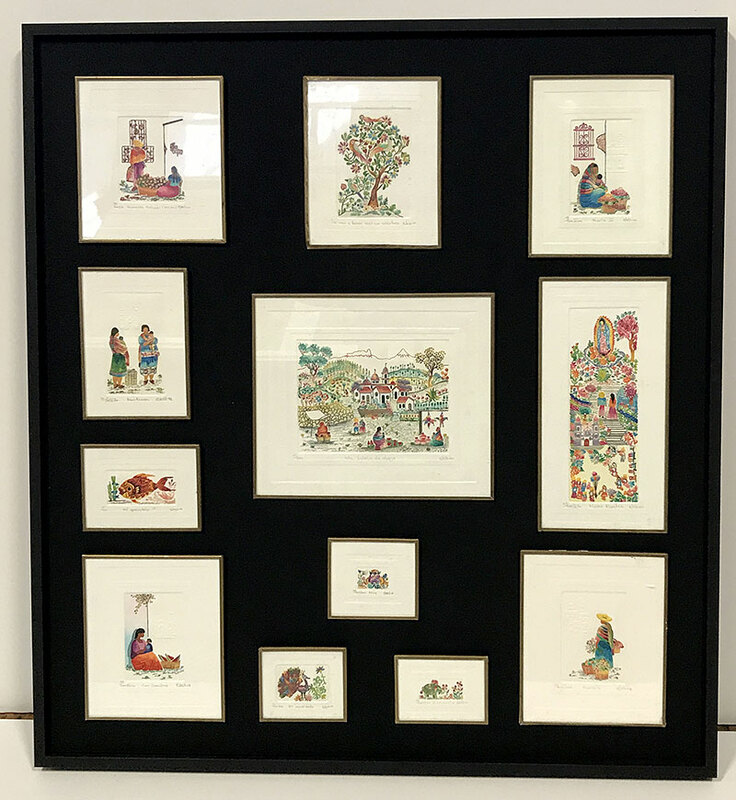 Here is a custom floater frame with original travel art from Peru floated on top of a black linen mat! 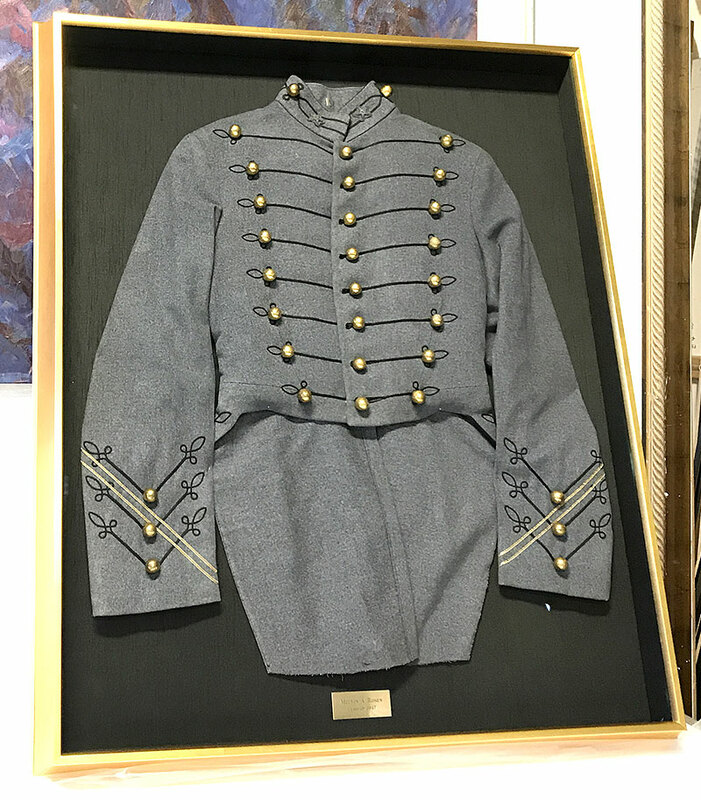 Custom shadowbox with plaque for a West Point era jacket. 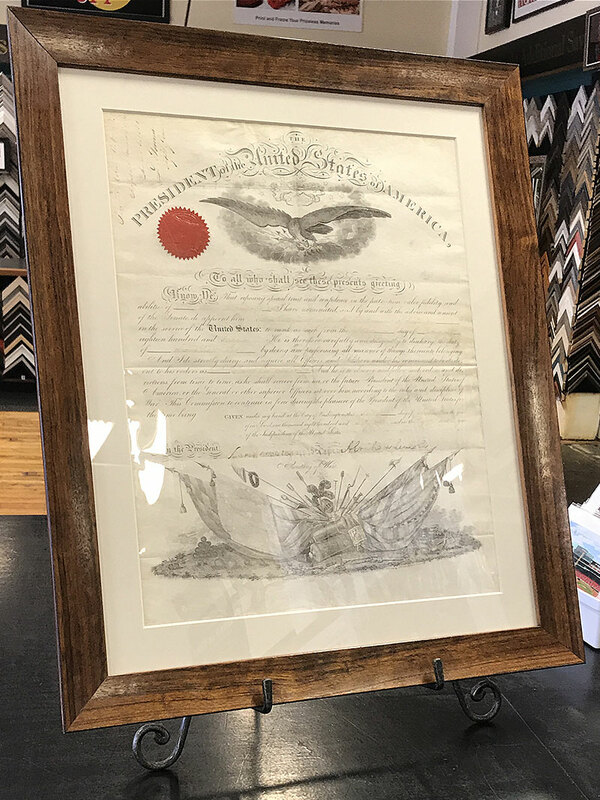 We had the honor of framing an Abraham Lincoln Presidential document in all archival materials to ensure lasting preservation. 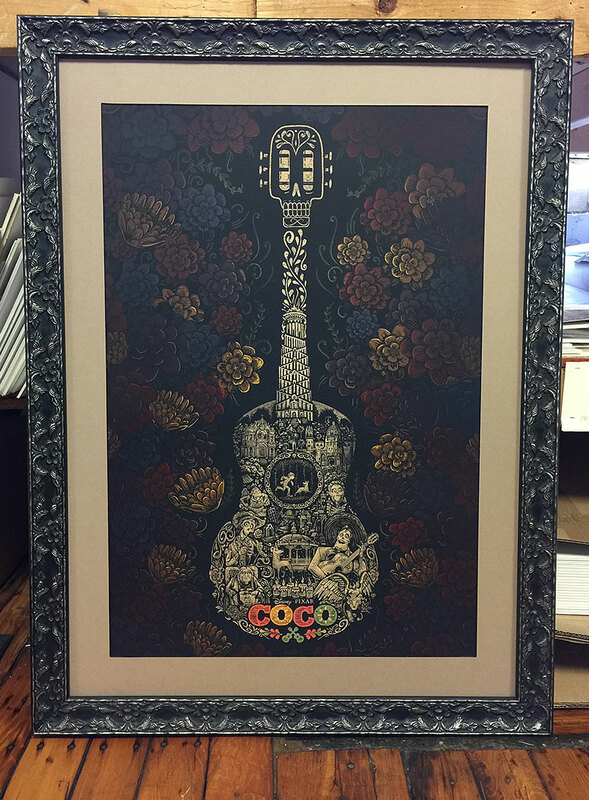 This is a unique guitar original lithograph that we designed and framed. Check out that mat and moulding combo! 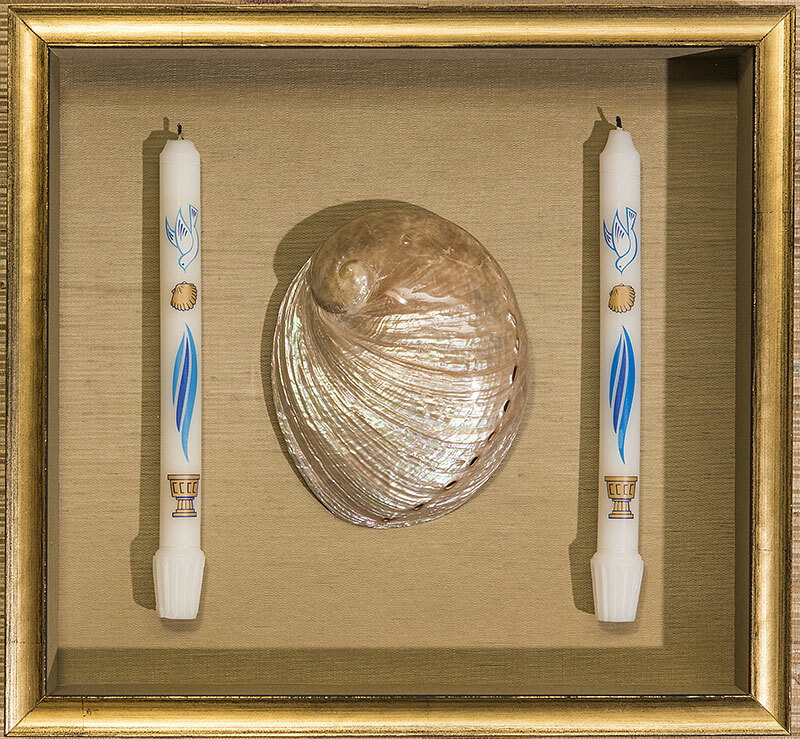 Baptismal candles and Shell from another happy customer!